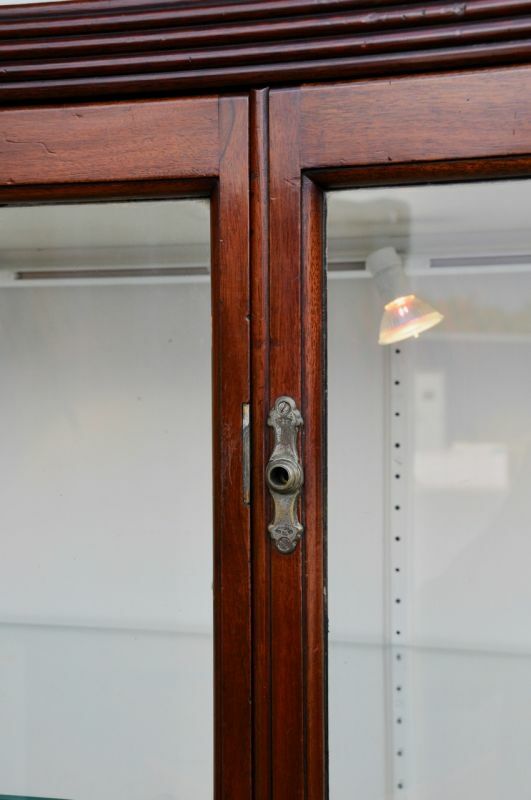 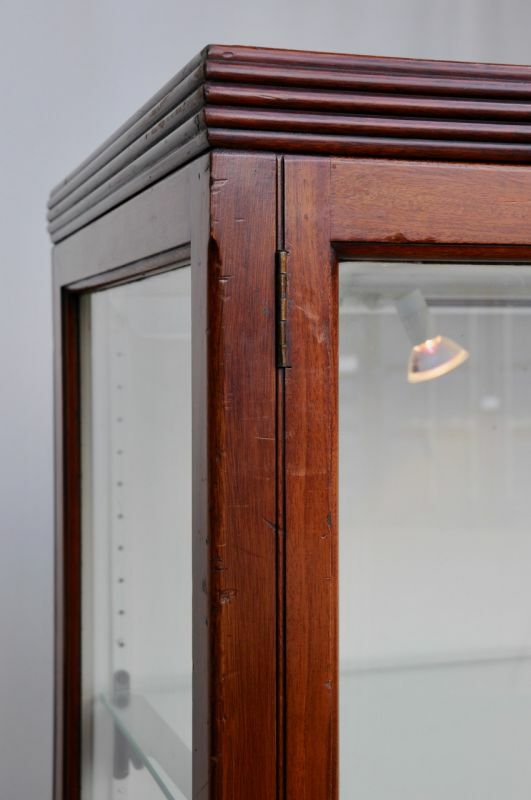 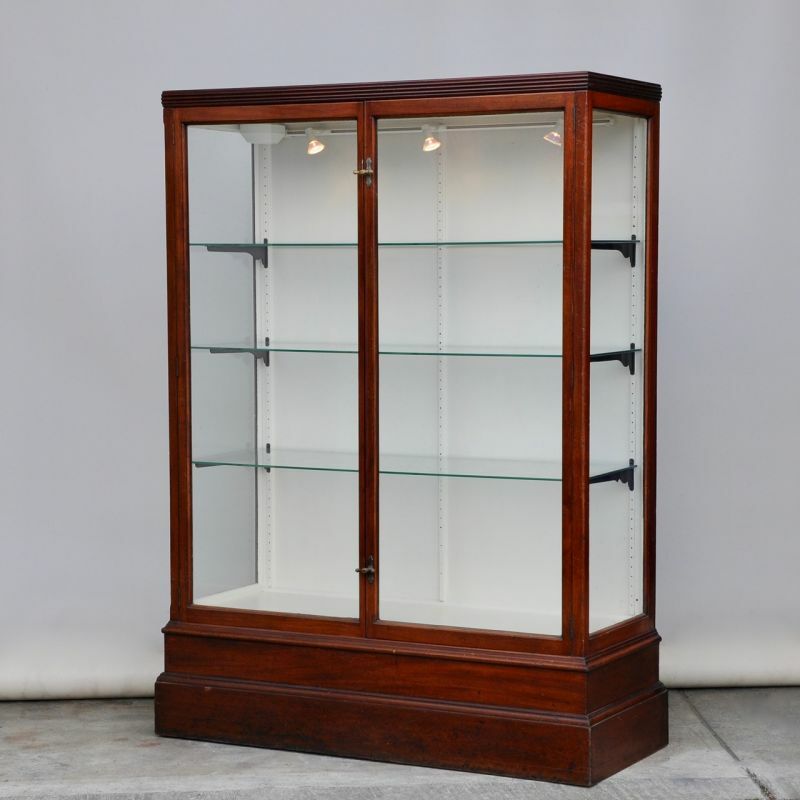 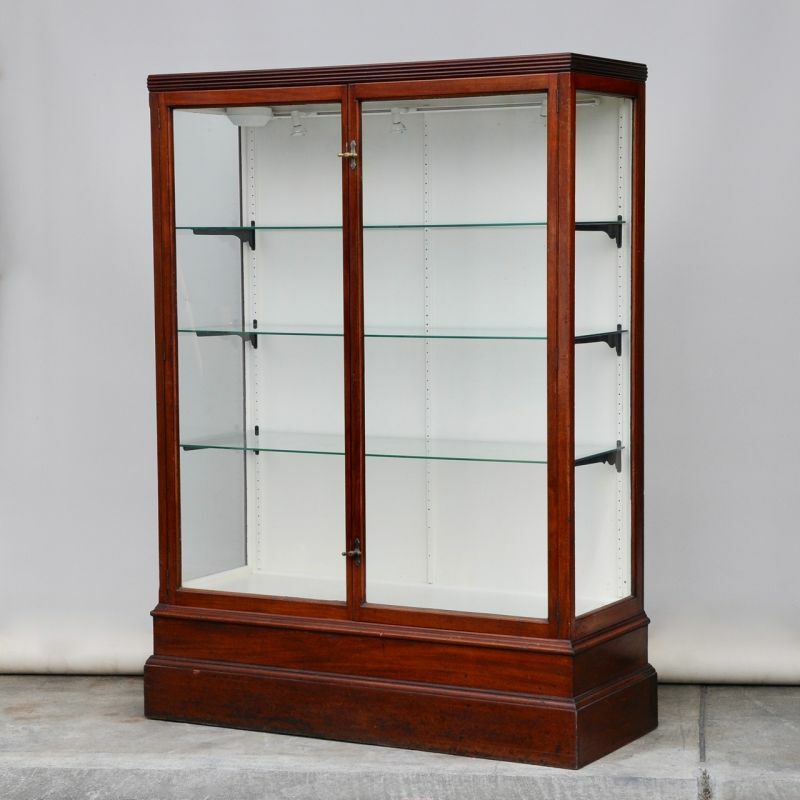 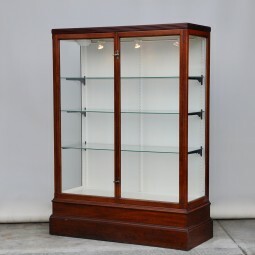 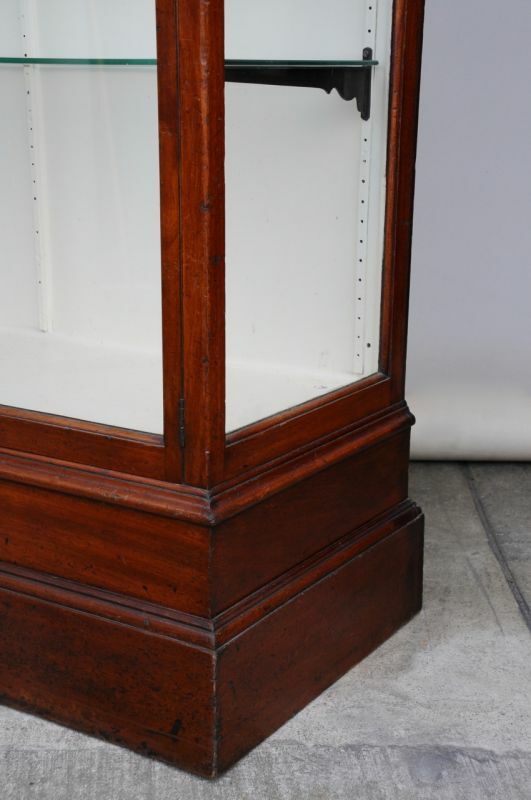 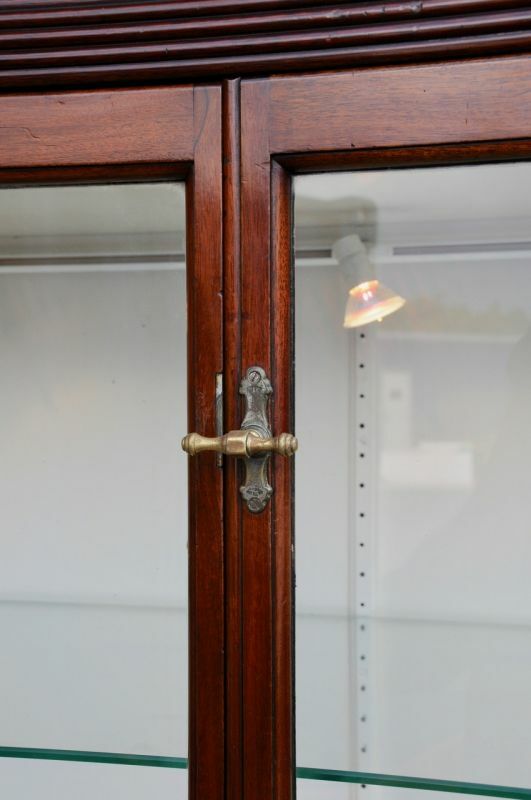 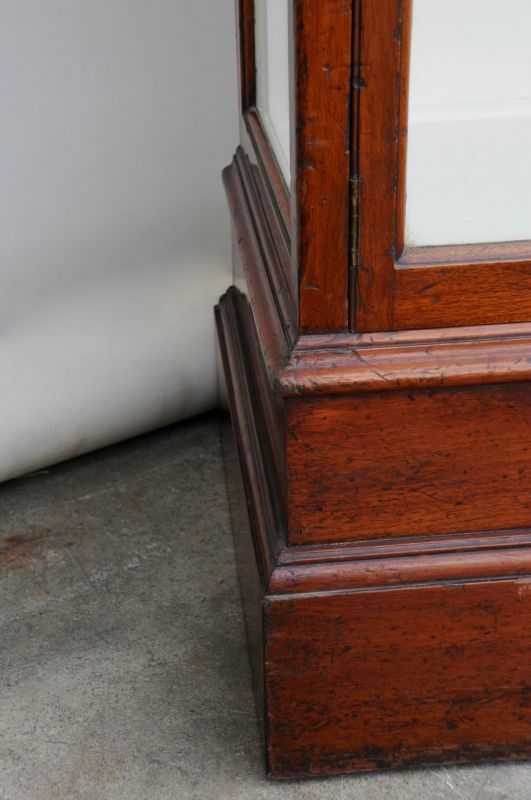 A solid mahogany shop display cabinet from the Edwardian/1920s period. 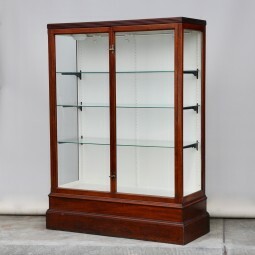 A very practical piece of furniture for displaying items of china and glass ,etc., with adjustable glass shelves. 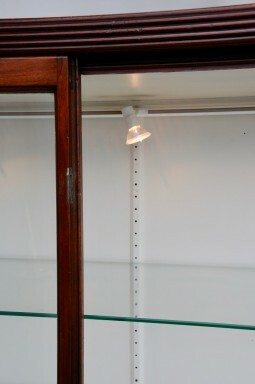 A lot of these shop display cabinets open at the back for behind the counter service. This one has the benefit of opening at the front. The doors and frame have integral dust traps. 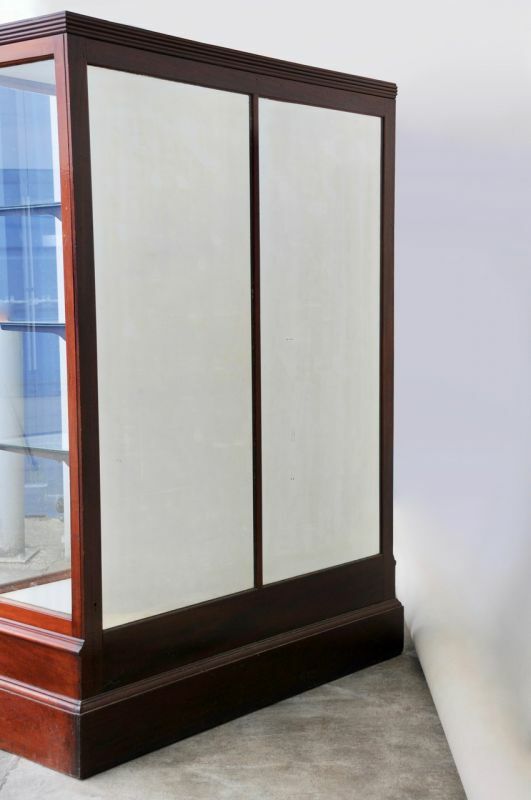 It also has a mirror to the rear. 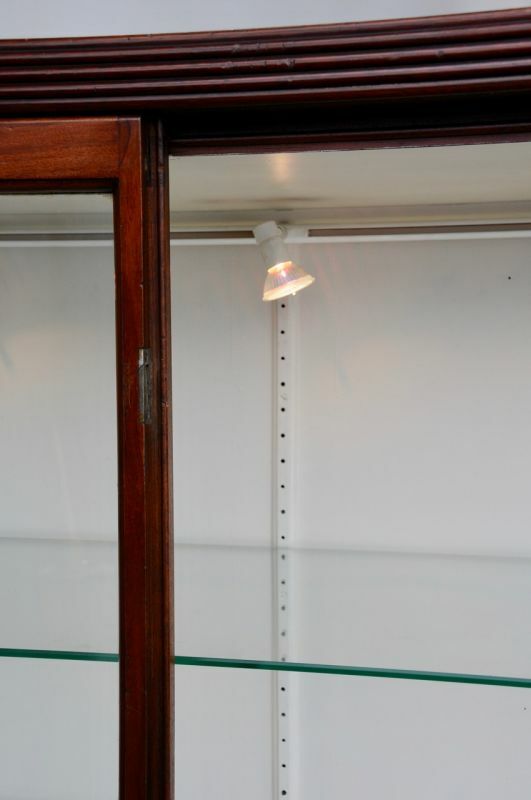 It has been fitted with discreet low voltage halogen lamps which are adjustable from side to side. 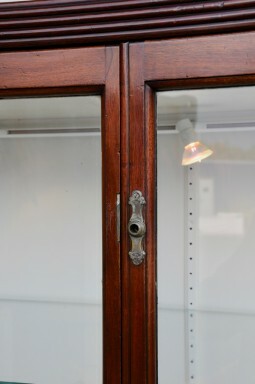 To lock the cabinet, simply remove the top handle, see photos 7 and 8. The measurements are 127 cm wide, 52 cm deep and 173 cm high.